When a New York dealer in gemstones discovers a number of top quality synthetic diamonds in a batch he has bought, industry watchdog, the Federation of International Diamond Traders calls in Belizean, Carter Jefferson to trace their origin. 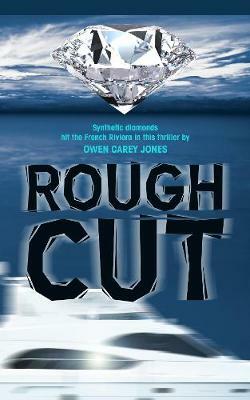 Carter, a synthetic diamond specialist who recently quit working or the FIDT to concentrate on writing but who still works for them on an ad hoc basis, is reluctant to take the case until he finds a reference in the file which takes him back 25 years to the time he was a geology student at Oxford University. Old relationships are revived and family secrets emerge as an attractive English girl and a passionate young Frenchman are sucked into the web of deceit and death surrounding the illicit gems. I read Rough Cut this weekend, it spoilt my weekend.... I couldn't put the damn thing down! I Really enjoyed it, and i'm looking forward to the next one! A nice 1st book, from a new author. It was nice to find a book that has some raw edge's rather than the books that the well known authors churn out. Which can be too easy to read. A really enjoyable book and definitely the kind of story you just want to know what happens next and can't put it down. I've just finished it and I'm sad it's over!